The standards for enforcement of a FDR are the same as applied to administrative summons under United States v. Powell, 379 U.S. 48 (1964). In order to enforce a FDR, and defeat a petition to quash, the IRS must show that: 1) the investigation is conducted for a legitimate purpose; 2) the inquiry may be relevant to that purpose; 3) the information requested is not already in the possession of the IRS; and 4) the administrative steps required by the Internal Revenue Code have been followed. Powell, 379 U.S. at 57-58. The IRS is required to establish a prima facie case that the Powell requirements have been met. United States v. Samuels, Kramer and Co., 712 F.2d 1342, 1345 (9th Cir. 1983). Declarations or affidavits by directors or agents generally satisfy the requirements set forth in Powell. See Lidas Inc. v. United States, 238 F.3d 1076, 1082 (9th Cir. 2001). In addition to meeting the Powell standard, the IRS must show that the FDR satisfies the procedural requirements of 26 U.S.C. § 982 (c)(1). Chris Marine USA, Inc. v. United States, 892 F. Supp. 1437, 1443 (M.D. Fla. 1995); Yujuico, 818 F. Supp. at 287. Section 982 requires that a FDR be mailed by registered or certified mail to the taxpayer at its last known address and set forth (1) the time and place for the production of the documentation; (2) a statement for the reason the documentation previously produced, if any, is not sufficient; (3) a description of the documentation being sought; and (4) the consequences to the taxpayer for failing to produce the documentation described in the FDR. 26 U.S.C. § 982(c). 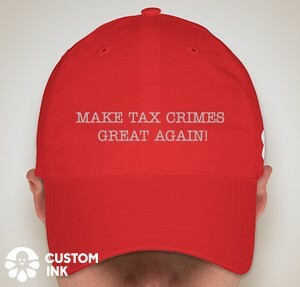 The taxpayers' defenses to the request to compel were standard ones: (i) we don't possess the documents and (ii) if we did, we have a Fifth Amendment privilege via the act of production. The Court first refused the taxpayers' request to permit them an opportunity to appear before the IRS and assert these defenses. The Court essentially reasoned that § 982 does not require that extra step. Petitioners do not deny that they owned or controlled these trusts, entities, or accounts; instead, they deny that they have had any interest in them in at least five years. Jack LaRue Decl. ¶ 4. Petitioners also fail to assert that they have made any efforts to retrieve the summoned documents from any party. Petitioners' general declaration that they do not have custody or control of the requested documents falls far short of establishing a defense. Accordingly, the Court concludes that Petitioners have failed to meet their burden to counter the IRS's evidence that Petitioners possess or have custody of the documents and records the IRS seeks. Here, the IRS contends that the foregone conclusion exception applies to documents related to the Islands International Trust, Pacific International Trust, Pacific Islands International Trust, and Seabridge LLC. Petitioners concede that "the existence of Islands International Trust is a foregone conclusion" and that they are required to produce documents related to that trust. Pet'rs' Answer fn. 2, p. 5, ECF 14. However, Petitioners argue that they may invoke their Fifth Amendment privilege as to the remaining documents. In support of their invocation of the Fifth Amendment privilege, Petitioners asserted in their opening brief that "it does not appear that the IRS knows if the Petitioners ever had a foreign bank account, brokerage or security account or foreign trust." Pet'rs' Am. Br. 5, ECF 13. In response, the IRS submitted the Bahamonde Declaration, which identified in Paragraph 5 the existence of three specific trusts and one LLC. Plaintiff provides no counter-argument as to why Agent Bahamonde's declaration does not establish the IRS's knowledge of the existence of documents connected to these trusts and LLC. Nor do Petitioners offer any argument regarding the documents' authenticity. Finally, as discussed above, the Court finds no reason not to infer that the documents are within Petitioners' custody or control. In summary, Petitioners cannot lawfully refuse to produce the records identified in Agent Bahamonde's declaration which are requested in the FDR because the existence of the records relating to those entities is a foregone conclusion. Thus, the production of the documents is not testimonial in nature for purposes of the Fifth Amendment. See Fisher, 425 U.S. at 411. Based on the foregoing, the Court denied the taxpayers' petition to quash and ordered compliance with the FDR. 1. This is the first instance I recall seeing the IRS use the FDR rather than the summons for offshore bank and entity documents. Note that the IRS did issue a summons and, presumably, could have enforced the summons. It is not entirely clear to me why the IRS did not enforce the summons from the get go because the FDR would have offered no compulsion if the taxpayers had not sought to enforce the summons. 2. That seques into the second point. The IRS cannot enforce the FDR unless the taxpayer brings a proceeding to quash the FDR. The only benefit of the FDR within the control of the IRS is that the taxpayer cannot then introduce the documents in a court proceeding. It is not clear from the relatively short opinion why the LaRues chose to try to quash the FDR. Perhaps they were concerned that the IRS might set up a draconian assessment that they might be able to rebut if they were not foreclosed from introducing the documents in a court proceeding. However, the evidence preclusion in a court proceeding would not prevent the taxpayers from ultimately using the documents to persuade the IRS administratively to either not assert too large tax or penalties or to abate same through the normal administrative proceedings. And, if the taxpayer were to give the documents to the IRS and the IRS were then trying to get a court to bless some action that documents in its possession rebutted, wouldn't the IRS have to introduce the documents because, surely, it will not ask a court to bless a position it knows to be unjust? Section 982 might be read to permit that, but I don't think that, so articulated, the IRS would do it or a court would look kindly on it. So, it is a mystery to me why the taxpayers brought the motion to quash. The database contains ownership information about companies created in 10 offshore jurisdictions including the British Virgin Islands, the Cook Islands and Singapore. It covers nearly 30 years until 2010. The information was on a computer hard drive received in the mail by an Australian journalist, Gerard Ryle, who is now the Director at ICIJ. The mention in the declaration of Portcullis Trustnet suggests a possible origin of the LaRue audit in the ICIJ leak, or possibly an earlier IRS project focusing on clients of the Portcullis Trustnet. If the ICIJ material is the source of the IRS's inquiry, the IRS seems to have moved quickly in the LaRue case, since the first IDR was issued on August 27, 2013, only a couple of months after the data was made public. The further inference is that the IRS may be moving against other taxpayers identified in the database. For example, the agent's declaration mentions Howard Thrall, Mr. LaRue’s business partner, who apparently acted with Mr. LaRue in establishing similar trusts for himself and his family. (See declaration, paragraph 5.) One would expect that Mr. Thrall is being investigated as well unless he did a timely voluntary disclosure or has resolved his investigation (rather than delayed the investigation as did the LaRues). The ICIJ maintains a searchable database on its website, here, where information from that database can be searched. A colleague, John Colvin, here, searched the ICIJ database, where he found both Ms. LaRue and Mr. Thrall’s name, associated with some of the trusts mentioned in the RA Declaration.